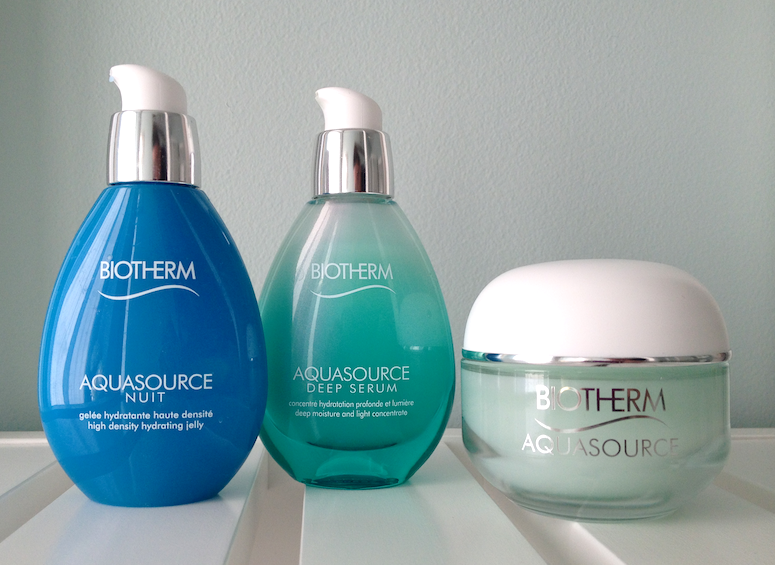 A few months back I was able to attend a presentation from Biotherm about their Aquasource line - which was actually one of my first experiences with the brand, with the exception of a BB cream I had sampled previously. (If you follow my Instagram, I posted some pictured from the event.) 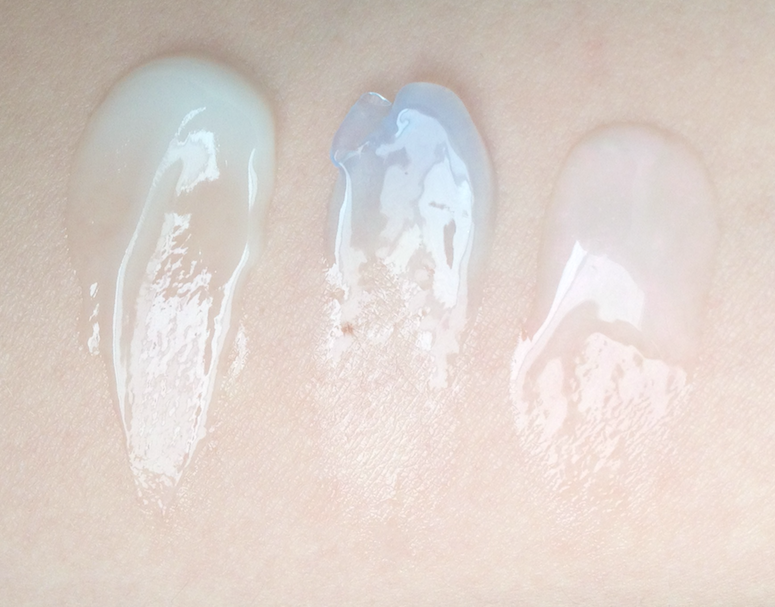 Since I had not previously used anything from Biotherm, I wanted to give myself several weeks of testing time with the new products to get a better gauge of how they performed for my combination, leaning-to-dry-because-of-this-damn-winter-that-will-not-end skin. If you're a skin-care geek, you'll note that the formulations contain some unique ingredients and sophisticated formulations. Mannose - a natural sugar derived from tree pulp, it increases skin thickness by 25% and helps it further retain moisture over a 48 hour period. Tested on reconstructed skin, it has the ability to encourage skin regeneration. Life Plankton™ Cellular Water - a blend of minerals, including potassium, phosphor, calcium, iron, Zinc, copper and manganese, as well as b2 (riboflavin), b6 (pyridoxine), b8 (biotin) and b3 (pp). It is also rich in 23 amino acids ranging from aspartic acid to lysine. This fluid aids in preventing moisture loss and stimulates skin regeneration. P. Antarctica - sourced from a newly discovered micro-organism that produces a glycoprotein enabling it to maintain its internal water levels even in the frozen climate of Antarctica. The extract derived from this extreme weather survivor increases the production of new keratinocytes (new, fresh cells in the skin)by up to 25% after just 48 hours, boosting the skin’s overall capacity to hold water. 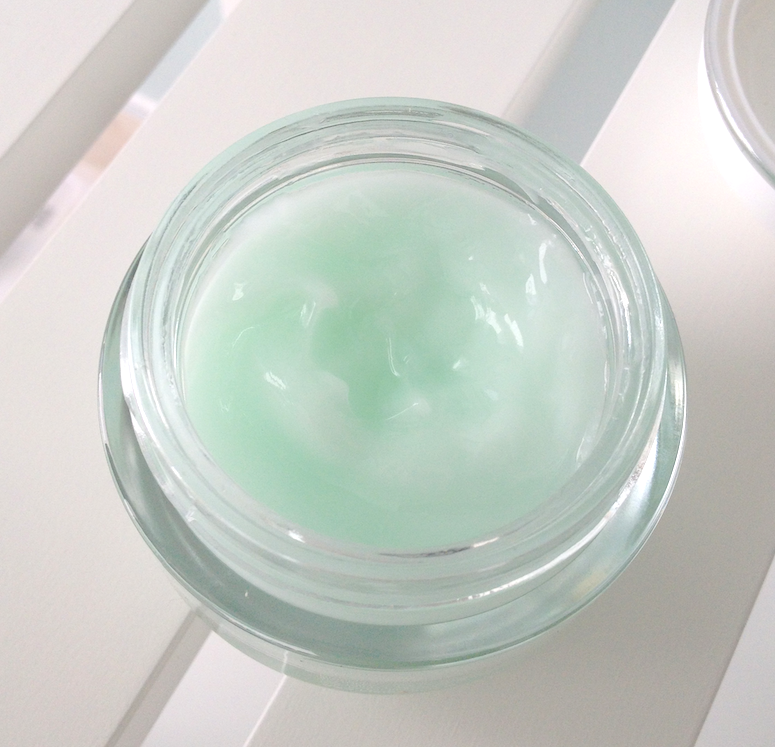 This has an even cooler texture than the moisturizer. Basically an oil-in-gel formula, it contains micro-droplets of oil that are 10 to 20 times smaller than those found in the usual moisturizers or oil-in-water emulsions. Despite the jelly-like texture, I could feel it transforming into a light balm as I massaged it into my skin. That super-light film took about a minute or two to absorb completely, and my skin afterward felt incredibly soft and supple, with a velvety smoothness. The Aquasource Nuit is my favourite out of the three products, and one I continue to use on a nightly basis. If you have dry skin, you may need to layer something richer over it, but so far I haven't needed to, even on my drier days. It doesn't have anti-aging ingredients as such, though, so if that is a concern you will definitely need to add an appropriate product to address those needs. The Aquasource Deep Serum - Deep Moisture and Light Concentrate (60$ CAD) contains the same Mannose and Life Plankton™ Cellular Water as the moisturizer, but in a 3x greater concentration. It also has a micro-pearl formulation (essentially fine mica), for an extra light-boosting effect that lends a beautifully unified finish to the complexion. Again, the feeling on the skin is fresh, lightweight, and it sinks in immediately. The combination of the hydrating ingredients with the luminous finish makes for a flattering complexion boost. If you're not inclined to wear much makeup, this by itself does a lot to create the look of smooth, glowing skin. Overall, I think this is an elegantly designed line with ingredients and textures that are unusual enough to stand out from the usual counter offerings, and effective enough to merit some serious attention. Though it's not ideal for those with drier skin or anti-aging concerns, the lightweight formulations should be especially appealing to those with normal-to-slightly-oily skin who need that boost of hydration but who cannot tolerate a greasy feeling. Availability: At Biotherm counters at Hudson's Bay and Pharmaprix/Shoppers Drug Mart locations, as well as online at www.biotherm.ca and www.lancome-usa.com. 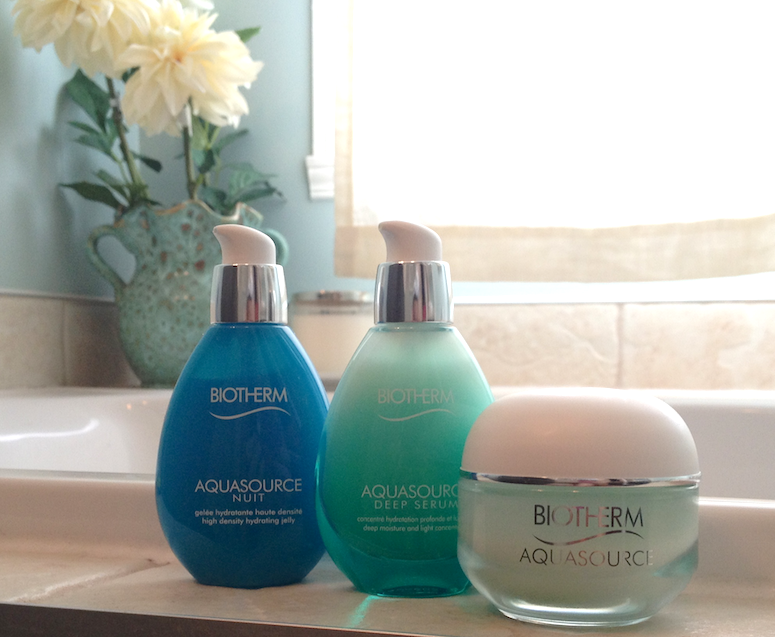 There is something about Biotherm products that has always intrigued me - they look so spa-like and hydrating and just plain JUICY. But, they do contain discernible scent and I just can't do that to my skin, sadly. It's such a shame because I think the brand is well worth checking out! It's true, the scent can be strong. It adds to that spa-ish feeling, because it smells like some super-fancy thermal water (or what I imagine it smells like in my head - ocean fresh and vaguely herbal), but if you're sensitive, definitely an issue. What would be the routine if I used these three products?